Owning a franchise in your area is a great way to start a business! It was in the US, and it started with a sewing machine! Isaac Singer, wanted to distribute his machines outside of his geographical area and provide training on how to use the machines as people wouldn’t buy them without training and retailers did not provide this service. The licence gave permission for the owner of that particular area to sell and teach people how to use the Singer sewing machine. 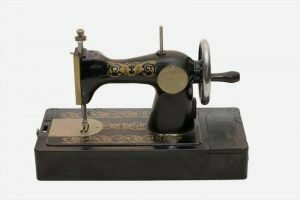 This bought the use of the sewing machine to the public where before it had only been for commercial use. Next up was Ray Kroc. In 1955 he was a milkshake mixer salesman who discovered the McDonald brothers on their hamburger stand. They were buying so many of his mixers as they had developed a high volume production system which enabled them to provide fast service with consistent results at a low cost. Ray Kroc became their licencing agent and recruited franchisees, starting in the Chicago area. In 1961 he bought out the McDonald brothers’ and now McDonalds is one of the biggest and most successful franchise organisation ever established. he dictionary definition of a franchise is, “authorisation granted to an individual or a group by a company to sell its goods or services in a particular way“. Simple enough hey? Franchising helps individuals to be their own boss and own and operate their own business, with a support network behind them. Being in business for themselves, but not by themselves. There is a much higher likelihood of success when an individual buys into a franchise as opposed to starting on their own. A franchise has a proven formula in place and things like the services and the brand have already been established. Brand awareness – The corporate image of the company and brand awareness is already established and with each new franchise area, it in turn expands that brand. Training – Franchisors provide extensive training and ongoing support to the franchisee, stopping all the trial and error when setting up on your own. They have made the mistakes and found the things that work so you don’t have to make them again. Setting up your own business can be very lonely, being part of a franchise gives you the feeling of belonging to a larger organisation. Saving time – The franchise company already has the business model in place, enabling the franchisee to focus on running and growing a successful business. There is a reason why franchising has been around for decades. It’s a great way to own and operate your own business! hope that has given you an insight into the history of franchising and an understanding of why a franchise is a good option. If you’d like to know more about the Approved Franchise Association have a look at our website, call us on 01604 532 533 or click here to send us an email enquiry and we’ll be in touch soon.